Leveling casters by Foot Master®, are a solution to the age old problem of flexible movement combined with the ability of securely setting and braking a caster in a specific location.The leveling foot, once set in place, provides for stable, anti-vibrational placement. 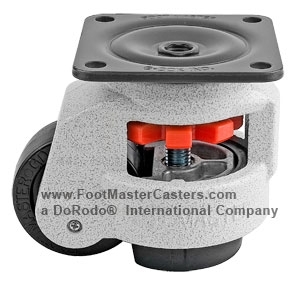 Our leveling casters can easily move up to 6000 lbs. Greater weight requirements may require the use of more casters. 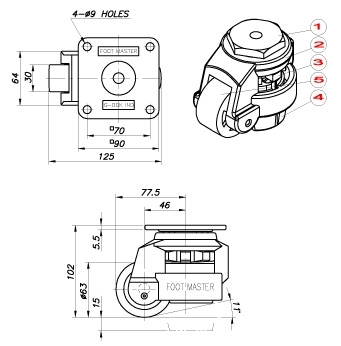 Foot Master® casters are being used on work stations medical, computer, communication, printing, woodworking, automation and assembly equipment. They are typically found in all manufacturing environments, including clean room and laboratory facilities.